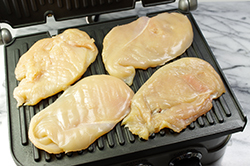 Once I realized just how quick and easy it was to grill chicken breasts on the panini press, it opened up a while world of chicken sandwich options that I had never explored before. These panini are among my favorites, with simple, classic comfort-food flavors. Use Leftovers: Swap in any leftover cooked chicken you have on hand in place of grilling chicken breasts in this recipe. 1. Heat the panini press to medium-high heat. 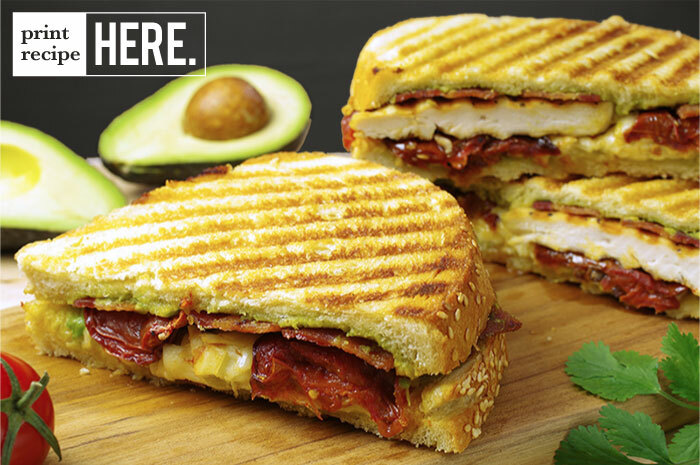 If your panini press comes with a removable drip tray, make sure it is in place. 2. 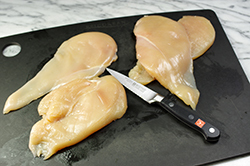 Season both sides of the chicken breasts with salt and pepper and grill them, with the lid closed, until they’re cooked to an internal temperature of 165°F, 3 to 4 minutes. 3. 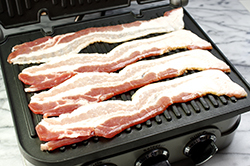 Unplug the grill, carefully clean the grates, and then reheat the panini press to medium-high heat. 4. For each sandwich: Spread butter on two slices of bread to flavor the outside of the sandwich. 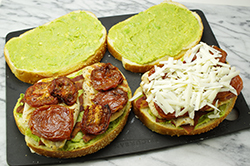 Flip over both slices of bread and spread 1 tablespoon avocado spread on the other side of each. Top one slice with 2 bacon strips, a chicken breast, tomato slices, and cheese. Close the sandwich with the other slice of bread buttered side up. 5. 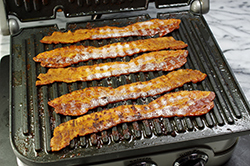 Grill two panini at a time, with the lid closed, until the cheese is melted and the bread is toasted, 4 to 5 minutes. Avocado has a creamy texture like mayonnaise, but it’s lower in overall fat and calories and high in nutrients like potassium and monosaturated fats (which can help reduce your bad cholesterol and lower your risk of heart disease and stroke). 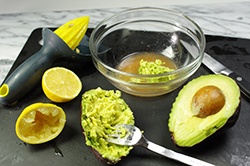 When I’m looking for a creamy condiment that’s lighter than mayonnaise and doesn’t sacrifice an ounce of flavor, I puree avocado with lemon juice to make a smooth spread. 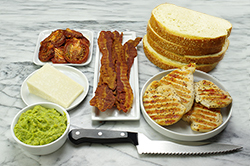 Beyond panini, try this spread on top of salmon or other fish, as a dip for vegetables, or to cool a spicy gazpacho. 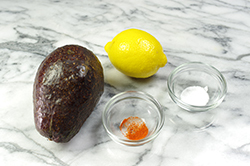 In a small food processor or blender, puree the avocado, lemon juice, salt, and cayenne until it’s smooth and creamy. Give the mixture a taste and season with more salt or lemon juice as needed. This spread if best if used the day it’s made. Even sweeter than fresh tomatoes and plumper than sun-dried ones, roasted tomatoes bring big, juicy bursts of flavor to everything from panini to pasta to pizzas. Just let them bake away in a low oven for several hours, all the while filling your kitchen with marinara-like aromas. I adapted this simple method from the Smitten Kitchen blog. 1. Heat the oven to 225°F. 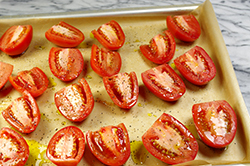 Arrange the tomato halves, cut sides up, on a parchment-lined baking sheet. Drizzle the tomatoes lightly with olive oil and season them with salt and pepper. Use a light hand with the seasoning, as the tomatoes will be naturally very flavorful once they are roasted. 2. 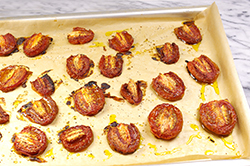 Roast the tomatoes in the oven until they are shriveled and mostly dry, 3 to 4 hours. 3. Use the tomatoes immediately or allow them to cool, cover them with more olive oil, and store them in the refrigerator for sandwiches, pasta, pizzas, or just snacking over the next several days.